La guerre qui a repris à Gaza au début de l’été a sonné comme un rappel des injustices qui frappent la région. Convaincue de la nécessité d’entendre d’autres voix que celles auxquelles on a le plus souvent tendu le micro, la rédaction de Pages de gauche a souhaité s’entretenir avec une militante des droits de l’homme, née à Gaza et qui y a grandi mais travaillant désormais en Suisse. Compte tenu de la situation, elle a souhaité que son nom ne soit pas dévoilé. L’intérêt de son regard sur les événements de cet été et sur la situation en Palestine nous a paru justifier la publication de cet entretien. What is the situation now in Gaza, and what do the population need most? They now live under the long-term truce signed in Cairo at the end of August. In Gaza there was a massive amount of destruction of civilian infrastructures, which means that a large number of people are now homeless. I must add that the situation prior to the war was already bad, but it got worse under the bombing. There were more than 10’000 people injured during the operation. People there lack about everything, though the Ministry of Health did an amazing job during the war. In addition to what we usually hear I want to say that there is and will be a dire need of psychiatric support in Gaza. There are a few centers currently operating, but too few professionals to manage the number of persons needing assistance. People usually ignore that need, judging it accessory and anyway less urgent than food or housing, but I think it is important. We have to imagine that, since 2008, Gaza has been subject to more than one Israeli military attack, which means that most children in the area have experienced war on a regular basis since they were born, and this is bound to leave them with psychological problems. There is one very important thing about this war. People in Gaza should not be left to believe that it happened for nothing. There must be change for the population in Gaza, and the people responsible for that must be held accountable for their crimes. How would you describe the Israeli army operation this summer, and why did it happen now? To be honest, I would rather ask: why not? The Israeli army and the huge military industry that supply it need war. They need it to justify their existence, to make profits, to test new weapons and tactics, etc. After operation “Cast Lead” (2008-2009) Israeli military industry used the destruction and death in Gaza as evidence to the effectiveness of their products. There is also a specific reason for this operation. Hamas and Fatah agreed to form a national unity government this spring, and, since Israel, the US or European powers refuse to discuss with Hamas, Hamas even agreed that no Hamas member would be part of the government. Hamas was considerably weakened at the time, and it basically gave in to Fatah demands. In order to prevent negotiations between the Israeli government and the Palestinian Authority, Netanyahou had to act in order to break this new government. Every few years Gaza is being bombed, it is almost beginning to sound as a bleak ritual. These operations are a necessary evil for Israel, which needs to be in constant hostilities, both for internal political reasons and safeguarding the image of being the regional bully. Moreover, Gaza has always been a “problem” for everyone. But, of course, no one can make 1,8 million people vanish overnight! What is the Palestinian left today, and what are its positions on the current situation? Up to the 1980s the biggest faction of the Palestinian left was the Popular Front for the Liberation of Palestine (PFLP). But the fall of the Soviet Union in 1991 considerably weakened the left, whose power declined in Palestine, but also in the entire region (and, some might say, everywhere in the world). This is not to say that we regret the USSR of course, but we have to acknowledge that it had tremendous consequences on leftist organizations all over the world. All the leftist parties are members of the PLO (Palestine Liberation Organization), and they stayed in the organization during and after the Oslo peace agreement, for the sake of national unity. There is a long leftist tradition in Palestine, which leave its mark on the entire society and other political movements. It had influence far beyond its own parties and organizations. To take just one example, even Islamist parties put some women on their electoral lists in Palestine! Today I no longer know what it means to be leftist in Palestine, or who can genuinely be described as “leftist.” The former PFLP leader was killed by Israeli soldiers in 2001, and its current one is imprisoned in Israel. These last years most leftist activists have been attracted by NGOs, instead of a more traditional involvement in political parties. As a result they replaced a critical stance on society and economy by the discourse of rights, as we witnessed elsewhere. The NGOs became very important in the 1990s, and even if I dislike their political agenda, we must admit that conventional politics did not offer much of a perspective for leftist activists by that time. Hamas won the 2006 election fair and square. The various parties from the left scored very badly at the same election. People voted in protest against the corrupt and ineffective Fatah, but they chose Hamas rather than the left for that purpose. In addition, the various party members of the PLO are tied to Mahmoud Abbas (head of the PLO and president of the Palestinian Authority), who basically decides how much money each party will receive. Can you tell us about Hamas and its role in Gaza? Hamas was created during the first Intifada in 1988. Some considers it to be the Palestinian branch of the Muslim Brotherhood, but this is a matter of debate. It is an Islamist organization, using an internationalist discourse, but it is actually a nationalist movement. I disagree with the analysis saying that Israel is behind the creation and development of Hamas. It allowed it to grow, right, but one must add that the PLO did not need any help to weaken itself at the same time. As a consequence there was some former PLO members who joined Hamas in the 1990s. Against the common belief that Hamas is strong only in Gaza, we must remember that it won everywhere in 2006, in Gaza as well as in the West Bank and East Jerusalem. If Hamas took over Gaza in 2007, it was a question of physical survival for its members, since military forces from the Palestinian Authority engaged in widespread tortures against its militants. Since then, Hamas did not do as badly as usually portrayed. 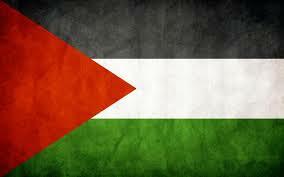 How would you describe the international opinion on Palestine, especially during the last war? Here we must make a distinction between elites and people. Western governments have all strong interests in Israel, and this is especially true for the US, France, and Germany. Their active support for Israel never diminished this summer, especially when the army needed them to send new ammunitions or missiles. From the point of view of people, I sense a fatigue about the conflict, increasingly seen as too complicated to understand. I must also point out the danger of a purely euro-centric perspective on the conflict, which tend to see Israel as a redeemer for the atrocities committed on the continent against the Jews during World War II. Even though I can understand this idea, I nonetheless think it dangerous, not least because Israel now abuses the historical injustice done against the Jews in World War II for its own politics. We can see also that people are more and more critical of mainstream media coverage of the conflict between Israel and Palestine, and try to get alternative information, which is probably easier to obtain today. There is a call from Palestinian civil society for the BDS campaign (Boycott, Divestment and Sanctions), with precise guidelines that lead to long and difficult discussions among Palestinians, and also non-Zionist Israeli activists. This boycott is not aimed at individuals, but targets Israeli companies drawing profits from the occupation, government programs, academic institutions, etc. We therefore launch an appeal to all “pacifist comrades” in the world to help us. I do not usually believe in “consumer activism,” but sometimes we have to admit that it works. It is an easy thing to do for millions of people, and as a result the BDS campaign has been steadily growing these last years. What amazes me though is that this campaign is even criticized inside the international left. When Palestinians advocate a pacifist answer to Israeli attacks and bombing, it is still considered too harsh. People do not like the “terrorists,” who they are not ready to see as a resistance movement, but they do not want to engage either in non-violent means to contest the ongoing occupation. And this is true even in the left, which is truly disheartening. Finally we must strongly resist accusations of anti-Semitism made against the BDS campaign, since it does not attack Israelis individually, or, which is an even more absurd accusation, Jews, but the economy and the system on which the oppression of the Palestinians is built. How can this conflict end, and how would you like it to end? In order to end the conflict, Israel must be made accountable for what it did. But to attain that goal we cannot count on States, or on the United Nations. On the contrary, citizens must play a prominent role, by putting pressure on their governments and especially on those actively arming and financing Israel. For your second question, one must recognize that the two-state solution has become harder and harder to defend. One state, two states, five states, I do not really care so long as the institutional framework can ensure a system without privileges, stop the historical injustice people have been suffering for decades, and create an environment where one can build a future.